2 Bedroom Terraced House For Sale in Tunbridge Wells for Guide Price £325,000. 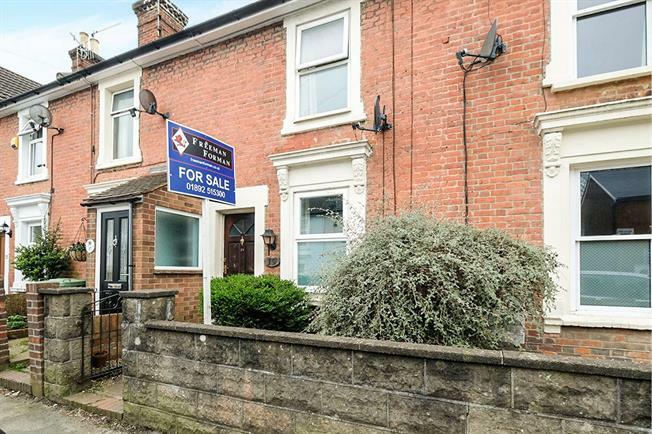 Freeman Forman are delighted to present this two double bedroom terraced house, located within a short walk of the Hilbert & Grosvenor Park, a mainline railway station and the town centre. The property offers well proportioned accommodation arranged over two floors, and includes a sitting room, dining room, kitchen, two double bedrooms and a recently refitted bathroom with a separate shower cubicle. Outside the property enjoys a low maintenance rear garden laid mainly to lawn, and a timber garden shed. There is gated access at the rear of the property. The property benefits from a gas central heating system and double glazing. An internal viewing comes highly recommended so that buyers can fully appreciate the excellent location of this property.